I thought it would be fun to share a few of the plants I’ve started in peat pellets. Those little buggers are fantastic! 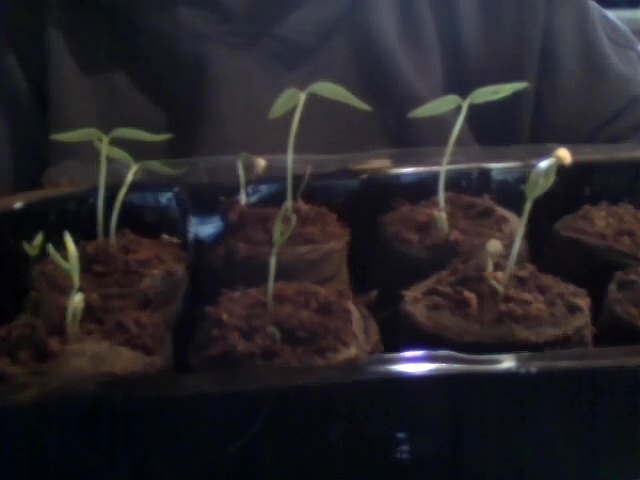 The photo below is beefsteak tomato seedlings. I used a silverware tray to start these in, but what the photo doesn’t show is that there are eggplants growing in there, too. I had no clue whether this would work or not and the halved toilet paper rolls I used for the tomatoes were a genius idea and fit into the little rows of the tray. HOWEVER, I just put soil into the rest of the tray for the other things and it worked fine, too. Next, I have some jalapeno peppers and grand bell peppers in a grow box, using peat pellets as my planting medium. You can buy these grow boxes in nurseries, Walmart, Lowes, just about anywhere. I think you can even find them in the dollar stores and Big Lots, too. They’re handy. Some of them come with the peat pellets already, some do not. Mine did, though, and I’m thrilled with what I’m getting from it so far. Keeping the healthy plants alive, though, is going to be a bigger challenge because very soon they’ll develop a set of true leaves (which are typically a plant’s second set of leaves) and I’ll have to replant them. 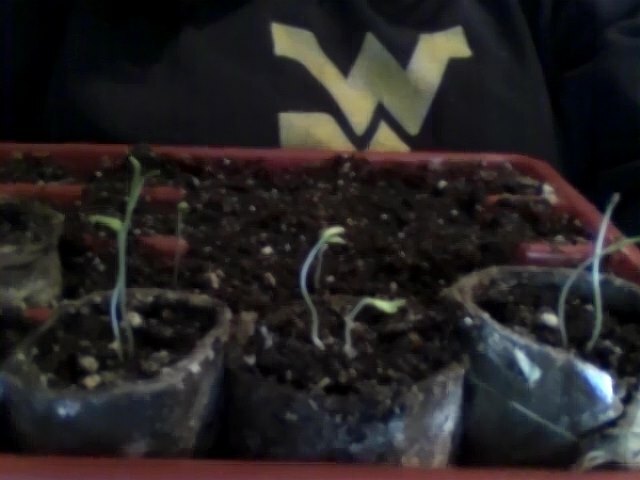 Right now they’re starting to get leggy, so I know the replanting is right around the corner lol. One thing I must warn about, though, is that if you use a grow box and you’re not careful, you’ll end up with something like this (below). 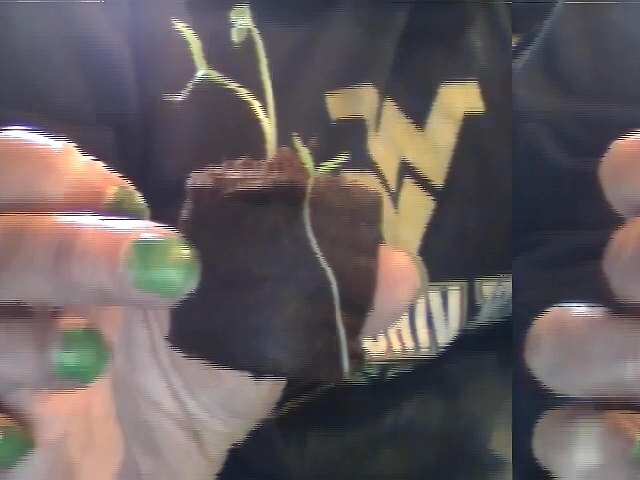 Obviously, while planting my seeds, I dropped one in the bottom of the plastic grow box and it went up under the peat pellet and began growing up the side of another pepper. Now, the issue is that I have no idea if it’s a jalapeno pepper or a grand bell because I have both in the same grow box. More than likely, it’s a jalapeno because it was on the jalapeno side, but I’ll have no way of knowing. The solution for this was to just pick the little stowaway up by a leaf and drop it down into a cup of soil and let it grow on its own. Well, we shall have to wait and see how it does, but this morning it looked awfully perky…and perky plants means a happy gardener. Unfortunately, I’m not having much luck with the basil I planted indoors. I don’t know what I did wrong with it because I’m usually really great with herbs. I guess it wasn’t meant to be and the rest of my basil seeds will be sewn outdoors when the time comes. I realize I’ve done an awful lot of sewing and gardening in the past year or so. Lots. I thought for my first post in forever, I’d share some of the things I’ve worked on. 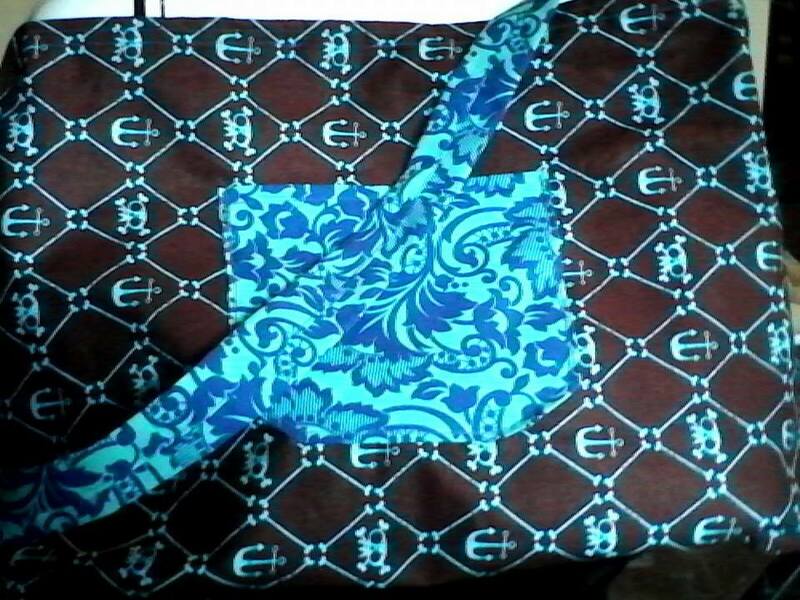 I made these matching bags out of fabric I bought on sale. 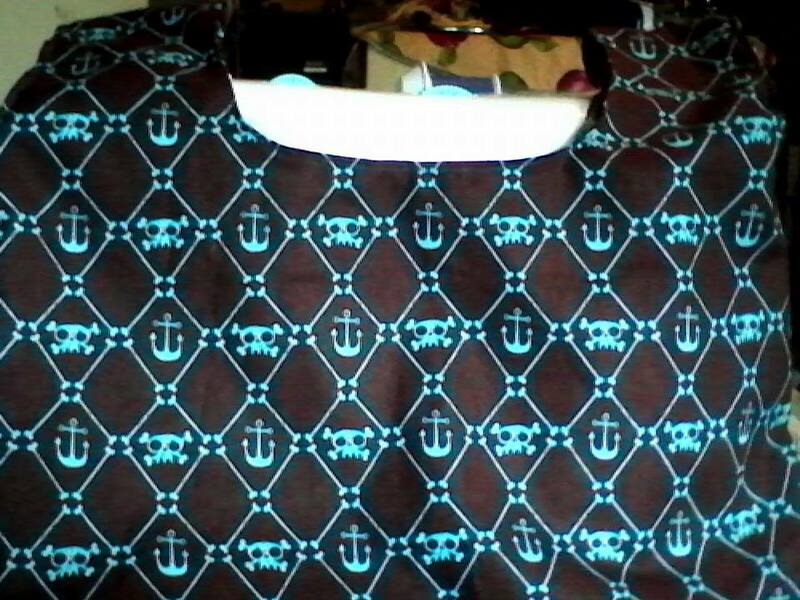 I thought they went well together, so the brown for the outside and the blue green for linings. The first bag is a shoulder bag I use mostly for carrying books around, but also makes a quick bag to tote around things for the kids when we go places. 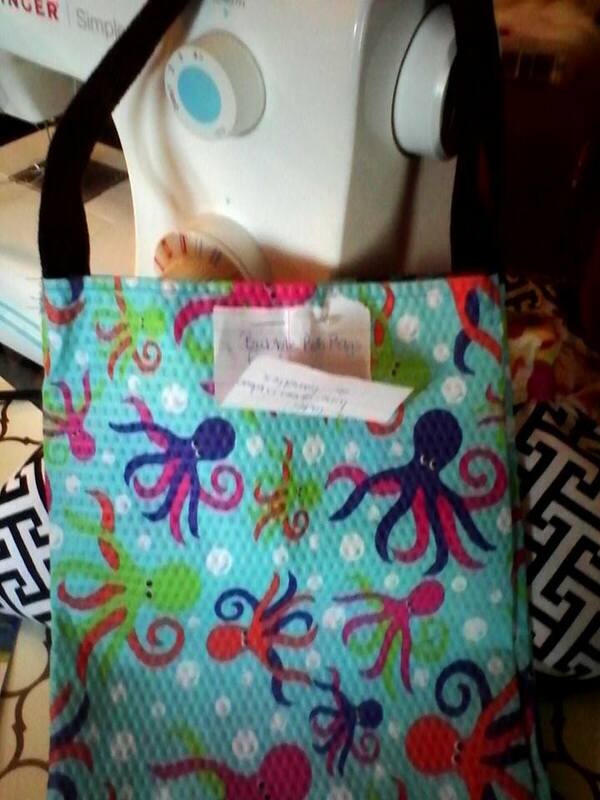 The second bag was made using a pattern for reusable shopping bags, but I shortened it and made it a handbag instead. Above, the first bags you see were made to hold bubble bath and things for my youngest nieces and nephews as a Christmas present. 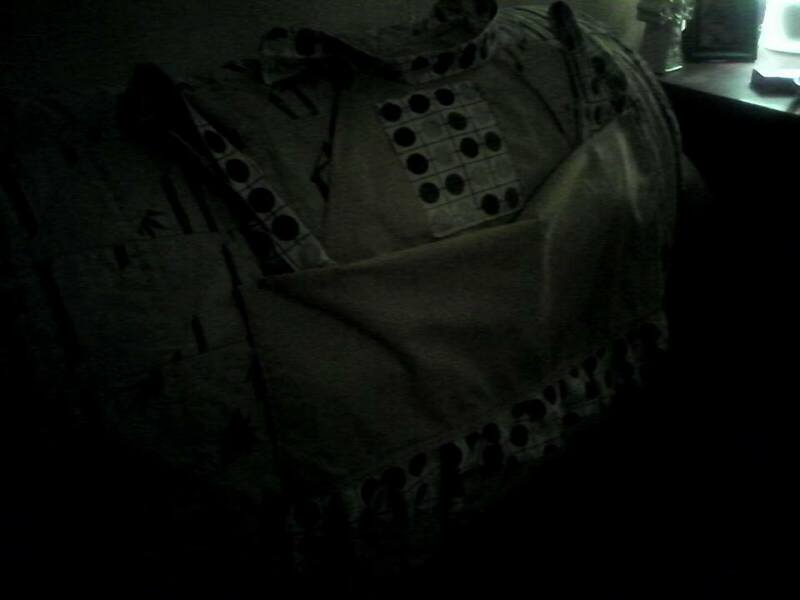 The second is an apron I made out of an old pair of sheets. 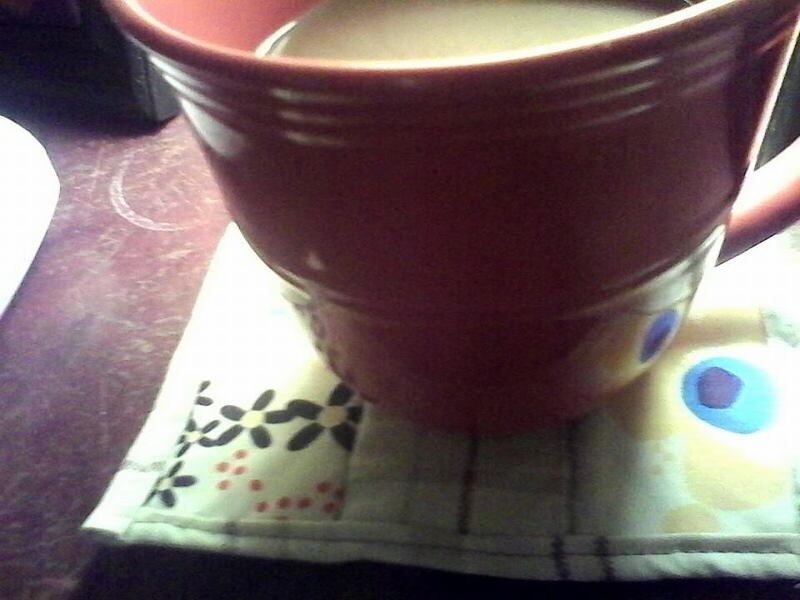 Mug rugs… You can never have too many of them. These are a few pictures of things I grew in my yard last year. 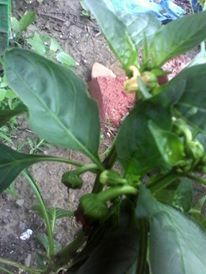 The first is a pepper plant, which gave me a lot of really delicious green peppers. The second is a pot of dill. 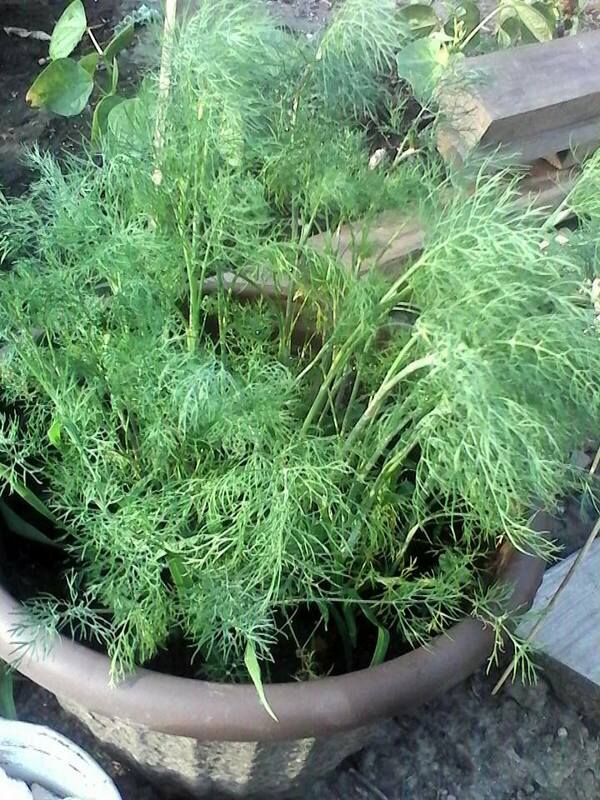 This year I’ll be putting dill, along with a lot of other herbs, straight into the ground. 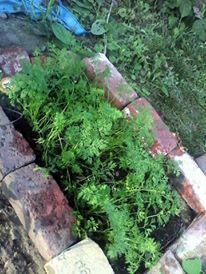 The last photo is my carrot bed, which at the time of planting was in dire need of thinning, but there it is anyway. 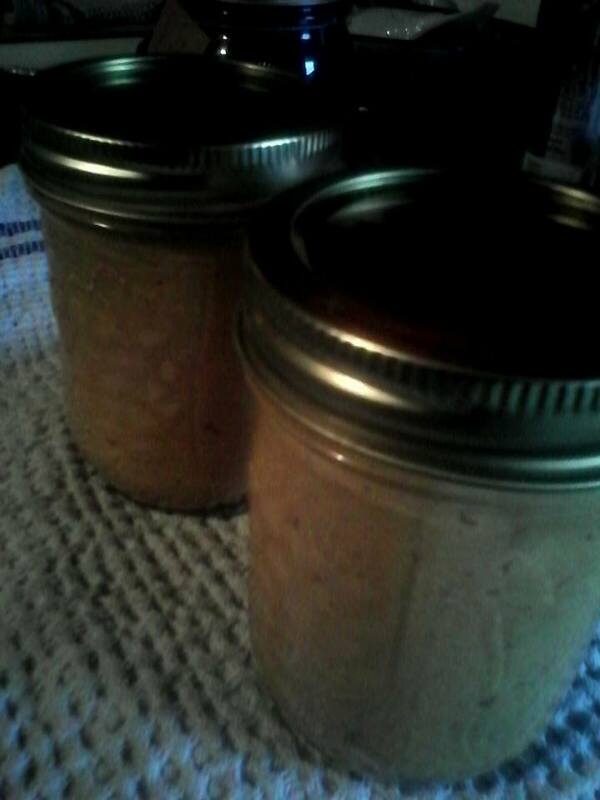 This photo is homemade peanut butter I made just a few weeks ago. Last summer I canned a lot of homemade jams and preserves with blueberries and blackberries, but for some reason I didn’t take any pictures of them…I should have! I’m hoping to get some gardening pictures taken here in the next few weeks as I’ve already sown carrots, radishes, onions, a salad mix of things, and peas. I get nervous at the beginning of the season, always afraid my plants won’t grow, but again, that’s something I just have to wait and see about!